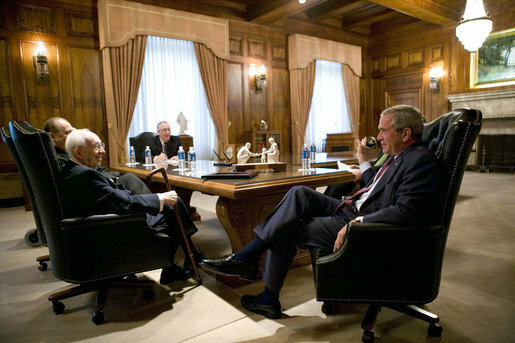 President George W. Bush (right) meets with the leadership of The Church of Jesus Christ of Latter-day Saints during a visit to Salt Lake City in 2006. Inside President Thomas S. Monson’s office in the LDS Church Office Building. Finally, the show also includes the perspective of Quin Monson, an Associate Professor of Political Science at Brigham Young University, and a senior scholar for the BYU Center for the Study of Elections and Democracy.